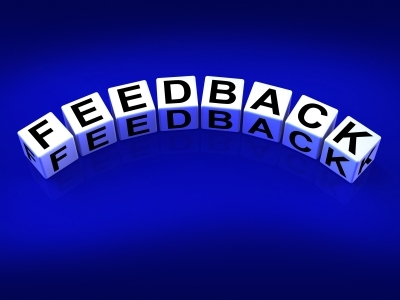 Recently while working with a client, let’s call him Steve, it became clear that there was a distinct disconnect between the feedback and the reviews Steve was receiving and the way he thought he came across. Steve kept hearing that his work was good but that he needed to be more of a team player, be more outward focused and that he lacked leadership skills. Although his work was exemplary he was never considered for a more senior role or for more visible projects. In attempting to remedy this, he tried to gain greater visibility with senior management by highlighting his successes through emails and increased participation during meetings. Nothing helped. His career was stalled. When receiving feedback, Steve became defensive and believed that he did everything right, that the feedback was wrong, and that it was based on either jealousy or fear. He didn’t realize that he needed to change his behavior and deliver on the full value of his company’s expectations for someone in his role: his job included helping to ensure that those on his team completed their tasks as well as he did so that creativity, speed, accuracy, and success could be achieved for the group as a whole, not just for him. His attempts at grabbing the limelight got him visibility alright – but not in the way he hoped it would. Because of his continued refusal to see himself with “fresh eyes”, his personal brand, his reputation, was damaged. Only when he gained a better understanding of the wide gap that existed between his behavior and the company’s expectations could he then begin the difficult task of repairing his reputation. And that is still a work in progress. You are always trying to reach your networks network so you have to know: What are your followers going to say to theirs? What information will Steve’s current and former bosses and colleagues be passing along to others? And what impression has Steve been conveying to others both inside and outside the company with whom he has contact? 1. Solicit feedback. Ask those around you for ways you could improve upon what you do for or with them. They will feel flattered that you think their opinion is valuable. By having them try to help you get better or clearer on the way you work makes them feel like partners in your success. 2. Be courageous and be humble. Rather than becoming defensive and going into attack mode thank those providing feedback for their honesty. Let the words sink in. Go back and think about what you heard not from the standpoint of how you felt when you heard them but rather how these words apply to what you know about yourself versus how others see you. Most importantly use these comments to help move you closer to where you want to be. 3. Reciprocate with honest feedback and become a partner in the success of others. For those of you who have the courage to gain a better understanding of how you impact others and how this affects your career, contact me for information on how I can help you highlight your strengths and define your brand. Mary Rosenbaum is a Master Certified Personal Branding Strategist and Career Management Coach who works with professionals and entrepreneurs. Equipped with an MBA in Finance and with over 25 years of experience as an entrepreneur and a career professional and 10 years in business and finance, Mary helps clients define goals, identify and highlight relevant talents and skills, and ensure that past achievements connect directly with future rewards. Success is defined as clarity of vision, differentiation from competitors, and the visibility and credibility necessary to capitalize on opportunities. She has worked with clients from a variety of industries including Financial, Hospitality, Technology, Law, Real Estate, Journalism, Non-Profit, and Human Resources.